My friend and mentor, Jean Illsley Clarke, uses a Parenting Road to describe parenting behaviors that can help us love our kids and still make rules, stick to them and insist on consequences for bad behavior. The Parenting Road has six lanes. Only the center two lanes are smooth pavement and going to get us where we want to go. The two on the far left and the two on the far right are off the pavement and into a ditch. For example, when we don’t insist on consequences for breaking rules, we are on the berm. It’s a bumpy, dangerous place to be. When we don’t even bother to set rules for our kids, we are so far off the Road that we are stuck in a ditch – an even more dangerous place to be – at a complete stop and not able to get anywhere. The center two lanes of the Parenting Road are where we want to be. The center lanes are patient, matter-of-fact places where we can accept that children will mess up while still expecting that with help and firm consequences they will do better the next time. 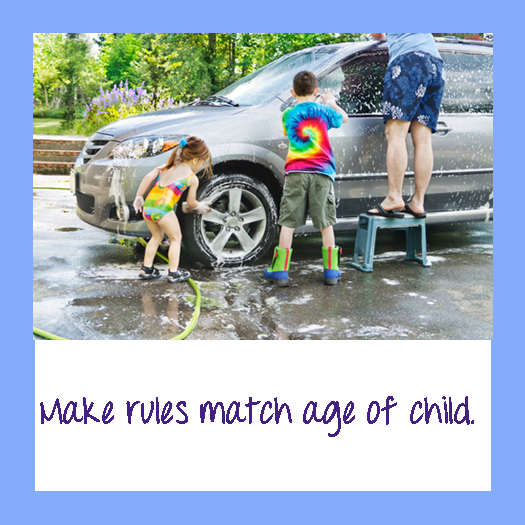 The middle is where we match what the child can handle with rules that fit the child’s age and maturity. Remember, one six-year-old may not be able to handle what another six-year-old can. 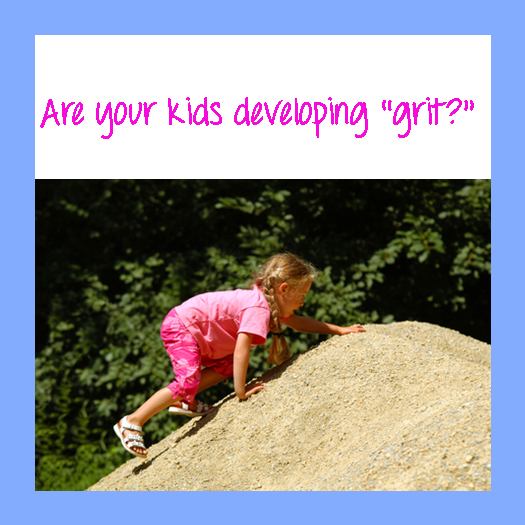 Children show us what they are able to handle by the choices they make in lots of different situations. Our job is to pay attention just like we should when we are driving on real roads. When you know you can count on the part of love that is always there no matter what, as Baby Blue and Prince Chirpio finally learned, you have what it takes to learn and do better even when things are really tough. Children try harder and are more motivated when they know love doesn’t turn on and off based on how well they can do things or when they know love doesn’t depend on their always doing the right things. Love no matter what helps children learn to believe they can do things as many times as they need to in order to get good at them. They come to believe they can learn one step at a time. They learn to believe they don’t have to be perfect the first time or every time they try something. They come to believe it is OK to make mistakes and get up, brush themselves off and try again. They learn to believe they can get back on track by paying the consequences for things they’ve done wrong. Loving kids no matter what is what gives them the inner strength to do what they are supposed to do. Some people call this having “grit” – the ability to deal with hard things and stay on the right path toward doing what they should. Without love they can depend on no matter what, the right things are so much harder to do. So, can we still love our kids even when they misbehave? A loud, enthusiastic yes, because the person is different than the behavior. We can love the person even when we hate the behavior. We can love the person no matter what, while we correct the behavior. It’s all about balance. Love your children all you can no matter what while still expecting good behavior and teaching how to do things well. Children naturally want to make up for things they do wrong and get back into good graces when they mess up. It is very important that we give our children a chance to make up for mistakes and that we teach them how to go about making up for mistakes. Making amends is a great thing for children. When children do something wrong they need to be able to make it right again. Actually doing something to make amends is so much better than just saying you are sorry. If the child hurts someone, he can get ice or a bandage for the injury or offer to play the person’s favorite game to make him feel better. If the child breaks something, she can help fix it, pay to have it fixed or offer the owner something nice to substitute for it. This is making amends and it can repair a person’s view of himself at the same time it is making the victim feel better. It is important even when the incident was an accident. It teaches the child that he deserves to be loved and can be loved even when he makes mistakes. Many school experts say that having high expectations for kids is one of the most powerful things we can do to improve student grades. I once read a report that said the students who do well in school are most often the ones who believe their teacher “liked them.” I agree. Teachers need to show kids that they care about them. But, that by itself is not enough. Teachers need also to let their students know that they are expected to learn. 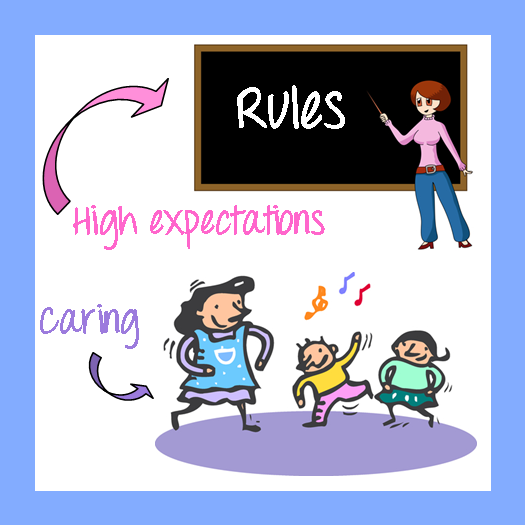 Interestingly, many kids don’t really believe that a teacher likes them unless that teacher is giving them rules to follow and expecting them to learn things. Kids are very smart that way. Be sure to read our DAILY TIPS for ideas about how to practice balanced love.